In this we are going to discuss about the Top 10 List software companies in the world. We hope that by this post audiences will know about the leader of the whole software market. The list also gives to some true information about the companies. We hope that this Top 10 List will be very informative for all. 1. Microsoft Corporation: In the Top 10 List of software companies in the world we keep Microsoft Corporation in the very fast place. 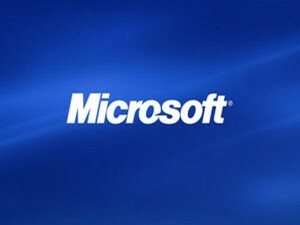 Microsoft is the most powerful brand name in software industry. Established in 1975 by Bill Gates, Microsoft has been the market leader in Computer Operating System Market, Enterprise Solutions and Internet Media. 2. IBM: In the Top 10 List of software companies we keep the name of IBM in the 2nd place. IBM Established in 1924, Internet Business Machine known with its brand name IBM is one of the most innovative software technology and consulting company with numerous patents under its name. 3. Oracle: In the Top 10 List of software companies in the world we keep Oracle in the 3rd place. Oracle is a fast growing software company that offers Enterprise Solutions and Database Management Software. The headquarters of Oracle is in California United States of America. 4. SAP: In the Top 10 List software companies in 2011 we put the name of SAP in the 4th place. it is a German software brands in the world market. The headquarters of this company is in Waldorf Germany. 5. Symantec Corporation: This time we put Symantec Corporation in the 5th place in our Top 10 List. The leading computer security solutions provider Symantec Corporation makes a place within the list of Top 10 Software Companies 2012. 6. Adobe: In the Top 10 List of software companies we put the brand Adobe in the 6th place. A well known brand among ordinary computer users Adobe is famous for its handy user friendly software products. It is the most popular photo editing software all over the world. 7. Ericsson: In our Top 10 List of software companies in 2011 we put the name of Ericsson in the 7th place. The Swedish company Ericsson is one of the largest Telecommunication and Data Transfer Service Provider in the world. It is also the world famous brand of mobile phone. 8. Salesforce.Com: In the Top 10 List of software companies in the world in 2011 we put the name of Salesforce.Com in the 8th place. Salesforce.Com is a prominent name in cloud based enterprise service providers that offers enterprise software solutions. Although the company is still in the growth phase but yet makes a place in the list of Top 10 Software Companies Ranking 2012. 9. Nintendo: In the Top 10 List of software companies in 2011 we keep Nintendo in the 9th place. Famous video games development company “Nintendo” stands out in the list of top 10 best software companies 2012. It is a Japanese company. 10. Activision Blizzard: In the Top 10 List of software companies we keep Activision Blizzard in the 10th place. Activision Blizzard is a famous American video games development company.